Posted on Thursday, April 11th, 2019 at 12:50 am. 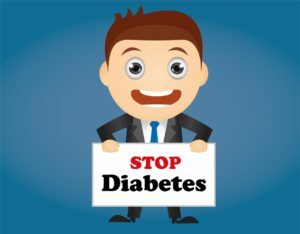 Diabetes is a disease in which the body’s ability to produce or respond to the hormone insulin is impaired. This causes in abnormal metabolism of carbohydrates and elevated levels of glucose in both the blood and urine. More than 100 million U.S. adults are now living with diabetes or prediabetes. Approximately 9.4% of the United States population have diabetes. One in four adults with diabetes are not aware that they have this disease. Your doctor can diagnose it with blood tests. Risk factors for developing diabetes include being overweight or obese. A lack of physical activity can contribute also. A family history can also increase your risk. Dr. Stanley Grandon, Dr. Cindy Wang and I can diagnose diabetic eye disease with a comprehensive eye examination. It is recommended that you have a comprehensive eye examination once a year. Medical insurance will cover the office visit. If I diagnose diabetic eye disease, I will likely recommend more frequent examinations. I will also likely recommend we take a picture of your eye in the office to check for swelling in the center of your vision. Diabetes can cause severe vision loss and possibly blindness. Diabetic retinopathy is the most common cause of vision loss among people with diabetes and a leading cause of blindness among working-age adults. The better you control your diabetes the less likely it will affect your eye as well as other organ systems. Diabetic retinopathy can cause changes to retinal blood vessels that can cause them to either bleed or leak. I may recommend treatment for your disease if there is swelling in the center of your vision (macular edema) or blood vessels growing that are not expected to be there. If you require treatment, the earlier it is administered, the better the chances of a good visual outcome. If you are a diabetic make sure to make your appointment at the Eye Surgery Institute!